PSA Group and Fiat Chrysler Automobiles are exploring a partnership to share investments to build cars in Europe, according to people familiar with the talks. The French carmaker and its Italian-American peer have been holding preliminary discussions to collaborate on a “super platform” -- the basic underpinning of a car model -- to reduce their investment costs in the highly competitive region, said the people who asked not to be named as the matter is private. Preliminary talks could be announced by the end of the first half, one of the people said. PSA Chief Executive Officer Carlos Tavares said earlier this month that his company is ready to seize opportunities for growth, less than a year after integrating the Opel and Vauxhall brands that it purchased from General Motors Co. Fiat Chrysler CEO Mike Manley said at the same time that he’d “clearly look into” a deal that would make the Italian-American carmaker stronger, including an alliance or a merger. Any eventual partnership will likely include sharing investments for new electric cars, the people said. Sale of electric vehicles is expected to boom globally to 60 million a year in 2040 from about 2.2 million in 2019, according to BloombergNEF estimates. "No single car manufacturer alone can afford the sheer size of investments needed to develop platforms for the kind of smart, hybrid and connected vehicles that will hit the road in coming years," said Carlo Alberto Carnevale Maffe, a professor at Bocconi University in Milan. 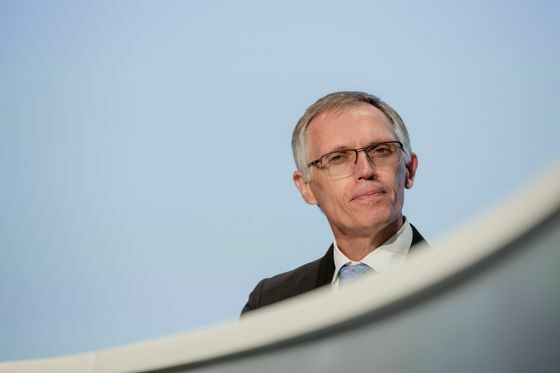 "Talks between PSA and FCA, as well as the one by BMW and Daimler, are a clear sign that the industry needs to find a new equilibrium of competition on final products and services, leveraging on inevitable cooperation in technology development and supporting infrastructures." The partnership could eventually develop into a wider combination in the future, though the current focus is on the limited cooperation, two of the people said. A spokesman for PSA declined to comment, and referred to comments Tavares made to the Wall Street Journal Saturday, where he said the company wasn’t targeting a “specific” partner and isn’t engaged in “deep” negotiations to find a tie-up. Fiat and Peugeot extended their cooperation on light-duty vans to include vehicles under the French manufacturer’s Opel and Vauxhall brands in February. Carmakers are increasingly joining forces to share investments as the auto industry is facing a technological disruption driven by electric and self-driving cars. Stricter emission rules imposed by European regulators are also forcing the industry to shift away from traditional combustion engines. Automakers are getting squeezed with valuations hovering at recession-like levels, while cash-rich Silicon Valley giants like Alphabet Inc. plot inroads into the industry to access data in future cars. With more signs that sales volume has peaked, Ford Motor Co. and Volkswagen AG are working toward a broad partnership that would include commercial vehicles and autonomous driving, while BMW AG and Daimler AG are collaborating on a range of shared- and self-driving efforts. Fiat Chrysler Chairman John Elkann shares former CEO Sergio Marchionne’s view that auto industry needs to consolidate to end duplication of investments. Marchionne said in his notorious "capital junky confession" speech in 2015 that the auto industry was wasting 2 billion euros ($2.2 billion) every week in product development and tooling costs which could be shared.